Do I sell my 35 f2 IS to fund 24-70mm f2.8L MK1? The other approach is to get a reasonably fast zoom (f/2.8) and just skip the primes. For someone shooting events for pay, this seems like the smart way to go. I'd guess that faster than f/2.8 is typically not a good idea for events anyway, and the handiness of the zoom is going to be worth a lot more than just one stop at one focal length. So then having everything from 24mm to 70mm available at f/2.8, I cannot imagine a busy event photographer swapping out the zoom to the prime just to take a shot at f/2 instead of f/2.8. I think you hit the nail on the head with this. I love having f2 when I need it, but I really wasn't using it a ton during paid work...and that needs to be my biggest consideration. Wow, thanks so much for looking into all of that! It's reassuring to hear that I made the right choice. I was thinking that same thing -- if I were dealing with an even nicer prime, this would have been a much harder decision. I've been eyeing the Sigma ART 35 for some time...maybe in the future. To add one more thing, regarding what the FL is nice for, I often referred to the 35IS as my dinner-table lens, funnily enough. It's a great focal length for shooting across the table and during wedding receptions, it's great to great right up into the action on the dance floor with. I've had a 35 f/2 IS for a while now and I've had it on my cameras twice.... Once to check out the AF on the 70D when people were worried about it (mine was fine) and yesterday, trying to decide if I was still missing something since so many of you love it. This may seem naive and it probably is.... but inside our house, I don't see the purpose of the 35mm focal length. I was making my final decision on which camera to keep, a new 7D2 or my 1D IV so I put on the 35mm. I was taking photos of our cat, Cooper. I needed a lot more than 35mm (even on an APS-H body) to fill the frame. I ended up using my 100L f/2.8 Macro. So that leaves outdoor photography. I have a very fine 16-35 f/4 IS. Again, I am probably missing something but I don't see the need for a prime in my case. I guess if I'm using a wide lens, I'm either shooting a kitchen or an outdoor scene: sunrise or sunset......... or some swamp scene, on a tripod, stopped down to f/8 or f/11, give or take. Several of you said it's your most used lens.... what kinds of targets are you photographing? I realize this is an ignorant question but I'm planning on putting mine up for sale tomorrow along with a few EF-S lenses and my 7D2. Help me understand what I'm missing. And I'm being serious, not sarcastic or facetious for once. To be fair, cats and people are very different sized objects, which is why people probably reach for the 35 when they are photographing people and not cats. I like that reply very much. LOL. I was trying to use the 35 f/2 IS on my 1D IV. That might have also contributed to my lack of enthusiasm. What lens do cats prefer for intraspecies photography? Post edited over 3 years ago by mwsilver. Mine sits on my 7D2 most of the time. I use it in museums and other indoor venues for a variety of reasons. I zoom manually. That's what my feet are for. You're outside a lot and I I believe use long telephotos much of the time. If you don't use this 35, than you probably don't need any 35. I use my 35IS on a full frame 6D. It doesn't surprise me that you're not a great fan if you are shooting it on apsc. It is too long for that. On full frame, it is a good dinner-table lens. Shoot your 16-35 at 21-22mm on your 7DII. The extra 2-stops of light can be really handy. My wide zoom is the 17-40, which gets used mostly outdoors. Indoors, I prefer the f/2 lens. I disagree. Its on my 7D2 most of the time. Its not unlike having a 50mm on a FF. That's why I bought it originally... because it was a fast lens that would give a similar FOV on my 7D2 to a 50mm on a full frame camera. I can see using it for museums, etc. And I can see Tom's point too.... that it would be excellent for food photography. I really want to like using it, but I can't seem to manage it. I'll get photographs of it today and put it up for sale with a couple EF-S lenses I no longer need. Someone will get a great deal on an all but new lens. Good luck with the sale and let me know if you're parting ways with that 55-250 STM, haha! I sold mine and regret it. My wife still has her SL1 and she's starting to use my 70D too.... so the 55-250 STM will around for a while. Unless you need the money, I would still keep it. One of these days you will want it, and it won't be in your bag. BTW, as indicated, it really is excellent for food photography. I am not a food photographer, but I tried it a number of times and was very surprised just how good the results were. It's up for sale as of a few minutes ago at a price I'll no doubt regret. If it doesn't sell in a day or so, I'll probably keep it. At $425 with an actual Canon hood, it should sell quickly, but it is a bad time of year to be selling stuff. I'm about 3 weeks late. Don't curse me for this, but I almost hope you have difficulty selling it. Now that you will primarily be using your 1D4 rather than the 7D2, you'll be giving up a very useful 45.5 FF equivalent angle of view. When you realize you do want a 35mm, and you will , the cost for a new one will be $600 and up, depending on the lens you choose. You are probably correct. I'm not hurting for cash..... I've just tried to use it a couple times and it didn't hit me. As you said, I mostly shoot wildlife and birds and the first time looked through the viewfinder and watched the 100-400ii focus.... I was hooked. No doubt, I'm expecting too much from the 35 f/2 IS. This is a sort of continuation from another thread I made recently as I considered mixing things up to shooting a wedding in April. My kit is tailored towards what I mostly do -- family portraits and engagement sessions. 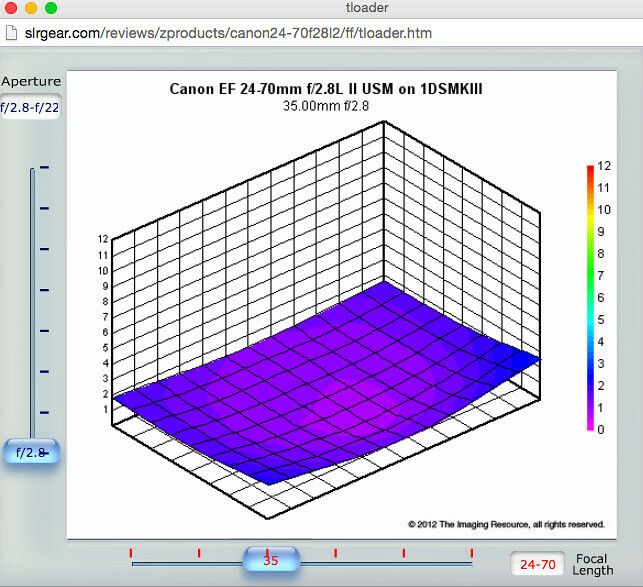 The lenses I use for these sessions (in order of most used to least) are the 85 1.8, 135L, 35 f2 IS, and the 17-40L. The 6D does all the work and my 650D stays in the bag as a backup. I intend to give the 6D the bulk of the work at the wedding (if not all) and for that reason, I've purchased a used 24-70 f2.8L (original version). My thinking is that 24-70L will be mounted on the 6D for the ceremony and likely the reception with a flash + some off-camera lighting. I'll pull the primes out for formals and possibly mount the 85/135L on the 650D during the ceremony to get some closeups/extreme DOF shots. Now my question is, should I sell my 35 f2 IS to help cover the financial damage of this recent purchase? The 35mm only comes out during portrait sessions to get those environmental shots (which I imagine the 24-70L will do a fine job with) or group shots. In both cases, I'm typically stopped down to f4 or greater. The one thing holding me back is that I could see the 35 f2 IS being useful during the reception. 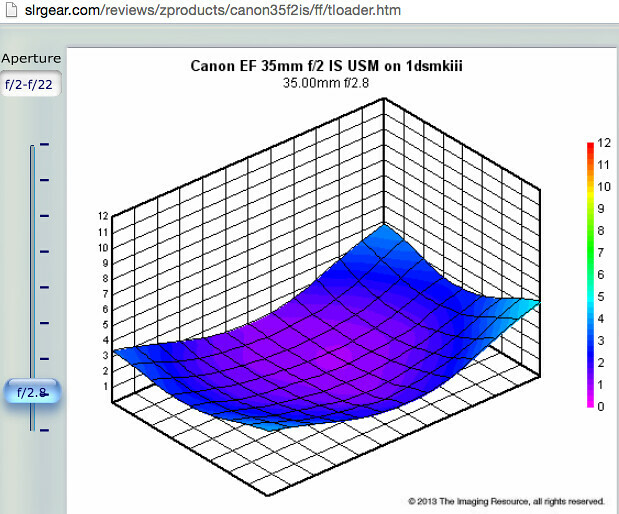 I'm sure the 35 f2 IS is sharper than the 24-70L MK1, but how drastic are we talking? Will I really miss it given my uses of the 35mm focal length? 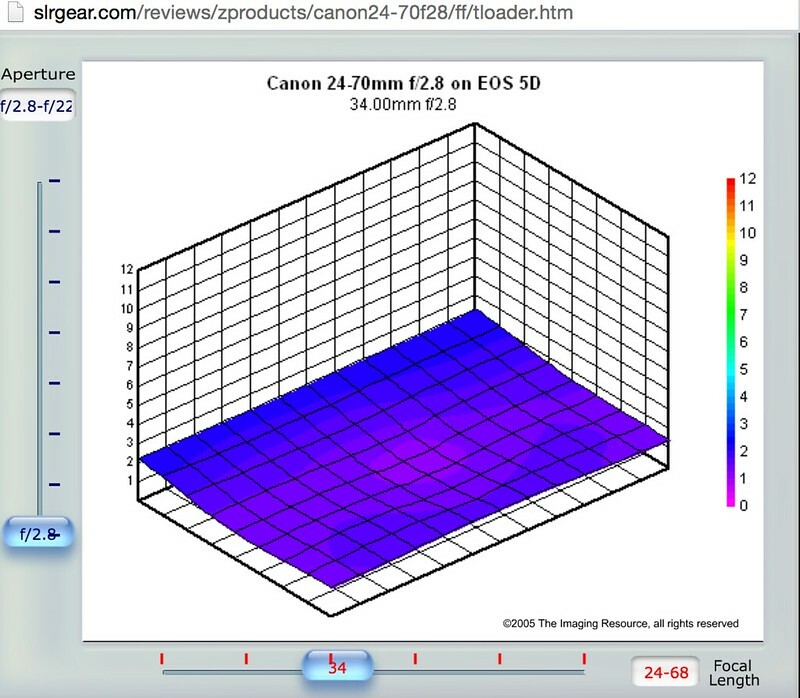 Bonus question: how does the Sigma 24-70 2.8 compare? Never been satisfied by the version I of 24-70....and I will keep 35f2 IS as long as possible. UPDATE: Contrary to advice, I went ahead and sold it . Hopefully I won't miss it too much, but it was more of a financial decision than anything else. When you need the cash, you need the cash. On the bright side, I bought it used on these forums, so I only lost about $60 on the sale. If I end up missing it, at least I know that I like it enough to pick up another one. You may indeed miss it but do you actually need it? I doubt it. I have the Sigma Art 35mm. I have a 24-70mm f2.8L II on my 1Ds Mk III and a 70-200mm f2.8L II on my 1D Mk IV. They are all I mostly use for weddings. I rarely use or even think of the 35mm. I've been doing this for 40 years.